Does P2P Investing Have A Place In Malaysian Investment Portfolio? Home › Investment › Is P2P Lending Set To Disrupt Funding and Investing In The Country? Is P2P Lending Set To Disrupt Funding and Investing In The Country? The small and medium enterprises (SMEs) make the Malaysian economy. According to the World Bank, 97% of business establishments in Malaysia are made up of SMEs. These businesses contributed nearly 36% of the country’s GDP, 65% of the country’s employment, and nearly 18% of Malaysia’s exports. When Securities Commission chairman Tan Sri Ranjit Ajit Singh said that Malaysian SMEs are facing a financing gap of RM80 billion, this could potentially pose a problem to the country’s economic growth. In the current landscape, SMEs have to apply for business loans from financial institutions such as banks to get a working capital injection into their business. In order to secure a loan, these SMEs are required to submit almost flawless business track record or even pledge some form of collateral before their loan application is approved. This means many of the SMEs will not make the cut. This creates a gap that peer-to-peer (P2P) financing is expected to fill, to provide a much needed platform for SMEs to gain funding, and eventually to spur the growth of the SMEs in the country. Peer-to-peer financing is not new globally, but Malaysia is the first country in ASEAN to regulate it. In 2014, the global P2P financing recorded a US$9 billion growth and in the following year, the number increased to US$64 billion! 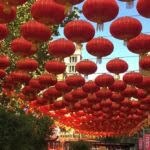 Based on the global trend, does this mean an investment opportunity for investors who are looking to further diversify their investment portfolio? How does P2P financing work? P2P financing is also known as “marketplace lending”, where businesses can borrow money from P2P platforms like Fundaztic. Once their application is approved, the platform would assign a risk category or credit grade. The loan is then funded by individuals or a group of investors who act as the lender. 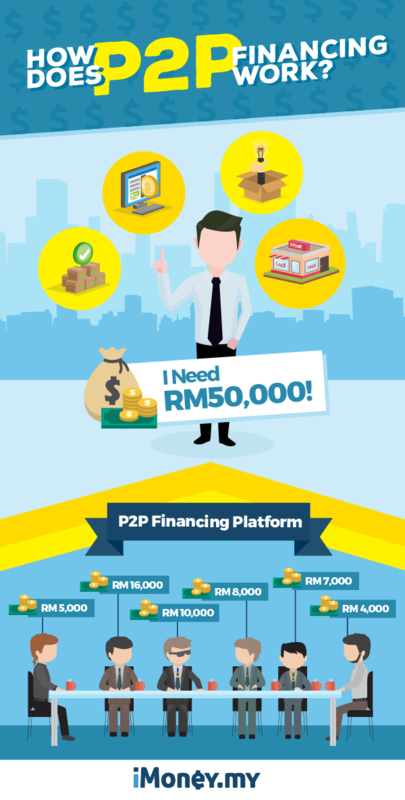 Currently, P2P financing is regulated by Securities Commission with six licensed operators in Malaysia, namely Peoplender, B2B FinPAL, Ethis Kapital, FundedByMe Malaysia, Managepay Services, and Funding Societies Malaysia. 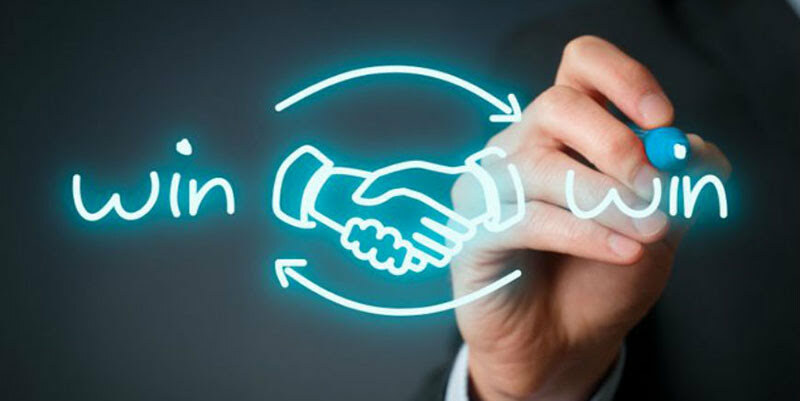 Fundaztic, P2P financing platform owned and managed by Peoplender, offers a straightforward and transparent investment and application process for borrowers and lenders. SMEs are able to raise funds for business related purposes ranging from RM20,000 – RM200,000 and investors can invest with as little as RM50. Why should you invest in P2P? Investors expect to make money from their investment portfolio most years. However, in the past five years, Kuala Lumpur Composite Index (KLCI) has not been growing as quickly as investors like to see. In 2016, KLCI was down 3%, while the MSCI Asia ex Japan index was up 3%. It has only managed to inch up 10% over the past five years, a weak performance compared to MSCI Asia ex Japan’s 16%. In the early 2016, Jack Bogle, founder of Vanguard Funds, warned Morningstar that stock market investors were likely to see gross annual returns of just 6% over the next decade. After accounting for inflation, the real return would be closer to 4% annually. That’s just slightly better than putting your money in a fixed deposit account. So, how can investors rebalance their investment portfolio to ensure it is performing at its peak in today’s investment climate? With its surging popularity, P2P investing is seen as an investment vehicle that could possibly provide stable cash flow and higher returns. Depending on your investment objectives, P2P investing could have a place in your portfolio. Starting your P2P investment is easy. You can register on Fundaztic online, by providing some personal details and uploading a copy of your identity card. Once your account is verified, you can immediately start investing. As an individual investor, you can start investing with a minimum of RM50, and are encouraged to invest not more than RM50,000. Making the minimum investment low, it gives investors the freedom to try out the platform and also the investment vehicle without taking on huge risks. The usual suspects found in an investor’s portfolio are unit trust funds, bonds and stocks. However, with KLCI giving lacklustre performance in recent years, it’s time for investors to explore expanding their portfolio to include fixed money investment that could potentially provide higher returns. Average rate of return 7.85% p.a. 4.50% p.a. 5.79% p.a. ^ Based on Investment Note ID 16 with B3 grade. * Based on the one-year bid-to-bid annualised returns for Affin Hwang Select Bond Fund. The above example shows gross returns, and have not taken into account the investment costs involved. The returns will be automatically credited into your Fundaztic account, which you can choose to withdraw or invest in another investment notes. Investment cost is an important consideration for investors because fees and charges erode one’s investment earnings. This becomes an even more important factor to consider when your portfolio performance is below par. Here’s the investment cost for P2P investing, if you are investing RM30,000 over 24 months. Transaction fees RM0.00 – RM3.00 Fee charged for each investment transaction that is successfully made. Based on Affin Hwang Select Bond Fund NAV unit price of RM0.6848 as at September 08, 2017. Comparing the fees and charges for both types of investment over the same period shows that P2P lending is a much more affordable investment. Currently, Fundaztic is not charging any verification fees for investors. However, as with any investment, there are risks involved and it is important for an investor to understand his/her risk profile and the investment before taking the plunge. Understanding your risk profile is important before you take on any investment. At Fundaztic, investors are advised to take a questionnaire to gauge his/her risk profile, which will guide them in choosing the right investment note to invest in. 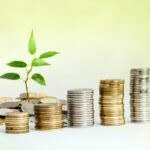 For example, for an investor between 30 and 40 years old with a Bachelor’s degree-level qualification, who would like to see moderate capital growth in his/her investments, would likely have a conservative approach towards his/her investments. As indicated by this risk profile, the most suitable investment notes to include in the investment portfolio would be those graded A1 to B3 for funding private limited (Sdn Bhd) or partnership businesses. Fundaztic uses the Risk Grade method to categorise “issuers” risk profile. There are 10 levels as shown in the image below. The grading is assigned based on several factors inclusive past credit behaviours as reflected in available bureau data and it will determine the amount of funds that an issuer can raise and the pricing that they must pay, among many things. To help investors mitigate investment risks, Fundaztic also uses information from Credit Bureau Malaysia (CBM) report to determine the Probability of Default or PD of a business. It is calculated using statistically valid models developed specifically for the Malaysian SME environment using various event triggers to determine how unlikely the credit will be paid in full. This will give investors an idea of the risks involved in a particular investment notes. The lower the PD, the lower the risk and the better the grade. However, as with any investments, the higher the risk, the higher the returns. Investors should carefully analyse his/her risk profile before deciding on a particular investment note to invest in. In short, P2P financing does have a place in your portfolio, but only if you understand how it works and the risks involved. One attraction is that you can start small with as little as RM50 plus also the significantly lower investment cost. For new investors, this is a good platform to try out as you build up your stake as you get the hang of it. Start building your wealth now! Register at Fundaztic and see how it can be the booster your investment portfolio needs.